Ginger has good antihistamine properties, which makes it a good remedy for cold, cough, sore throat, congested nose, flu, asthma, and other respiratory system related problems. It restrains the contraction of respiratory tract and stimulates mucus secretion to give us relief from allergies. 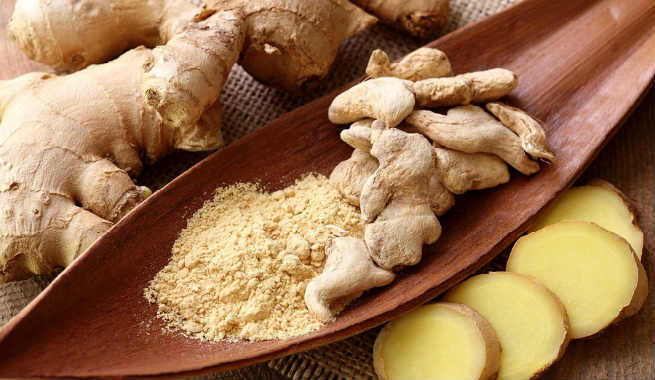 Ginger root is a wonderful anti-inflammatory agent that keeps the sensation of nausea away. Studies have proved that it can treat sea sickness, morning sickness in pregnant women and chemotherapy-induced nausea in cancer patients as powerfully as vitamin 6. 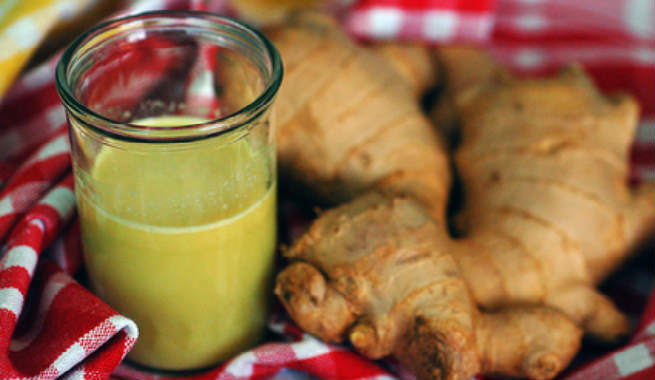 If you are suffering from chronic digestion issues or heartburn, ginger can be your savior. It makes protein breakdown faster, improves food absorption by boosting enzyme secretion, facilitates the assimilation of vital nutrients in cells, and increases the secretion of mucus for averting ulcers. The carminative qualities of the ingredient makes it a great anti-flatulence agent, which helps in treating problems like indigestion, upset stomach, bloating, etc. Last but not the least; ginger also stimulates appetite by perking up the flow of digestive juices. Daily consumption of ginger can help us manage our blood glucose levels efficiently. It is also known to decrease the chance of occurrence of diabetic nephropathy (severe damage of kidney due to diabetes) considerably. Several researches have concluded that incorporating ginger in daily diet can inhibit the procedure of brain cell loss. It also plays a key role in protecting as well as preserving brain cells, which eventually prevents Alzheimer’s Disease. Your weight loss journey can be safe and smooth with the help of ginger root. It works as an amazing natural fat burner and helps our body get rid of even the most stubborn fat deposits. It also keeps us filled for long so that we do not eat too much or end up getting overweight. When it comes to strengthening our immune system naturally, ginger is considered as one of the best solutions. It enhances our immunity so that our body does not become prone to developing infections or other diseases frequently. 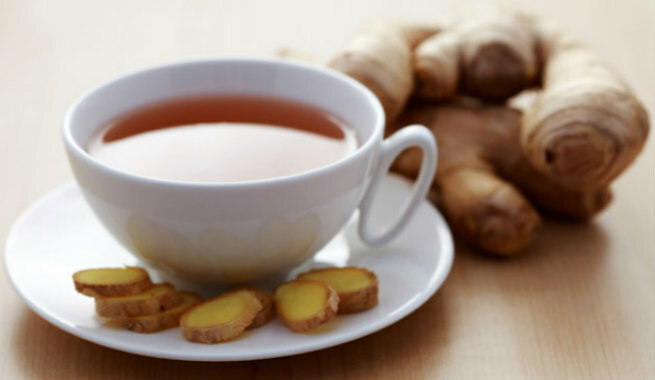 Ginger-infused tea is a go-to medicine for lots of women during their menstrual cycles. It can actually reduce menstrual cramps and provide relief from the acute pain. The intense pain of migraine can be treated naturally and effectively with ginger root. According to scientists, it slows down the functions of prostaglandins in our body, which reduces inflammation of blood vessels, thereby alleviating pain to a greater extent. Being loaded with antioxidants, ginger can put a stop to ovarian and colon cancer if used during early stages. It mainly causes apoptosis or autophagy in which either the cancer cells are destroyed by themselves or simply get digested by the enzymes, thereby curing the ailment. Ginger is touted for its antioxidant, anti-inflammatory and analgesic qualities, which help in treating joint pain and swelling effectively. It eases the symptoms and eliminates the need of using painkiller in cases of severe rheumatoid arthritis, osteoarthritis, tendonitis, etc. Protect your skin from aging by consuming ginger regularly. It holds more than 40 antioxidants, which fight off damaging free radicals and remove toxic materials from our body, promote blood circulation in cells to increase oxygen and nutrient supply, and shield against the harmful ultraviolet rays of the sun to maintain skin elasticity. All these help in reducing dullness, age spots, fine lines, wrinkles, etc., thereby preserving the firmness and youthfulness of our skin. Forget commercial skin toners as ginger can serve your purpose even better. It possesses astringent properties that aid in skin toning, thereby giving us a firm, nourished and glowing appearance. Topical application of ginger can soothe and heal skin burns fast. Whether you are suffering from sunburn, blister or any other type of abrasion, using ginger will give you immediate results. The antioxidant, anti-inflammatory and antiseptic properties of ginger can keep our skin clean and breakout-free by warding acne-causing bacteria off. Ginger makes treatment of hypopigmented (white) scars easy by restoring the natural pigmentation of the affected part of the skin gradually. Massage your scalp with ginger-infused herbal oil to promote blood circulation throughout it and stimulate the hair follicles for encouraging the growth of hair fibers. It also shows promising results as a natural hair loss treatment due to the same reason. Ginger can make dry and brittle hair stronger, silkier and shinier while nourishing and conditioning the strands from inside. The issue of dry, flaky scalp can be resolved completely with the help of ginger. The antiseptic properties of the spice can avert infections and make the scalp healthy for better hair growth. Aren’t these enough to make ginger a staple in your diet?